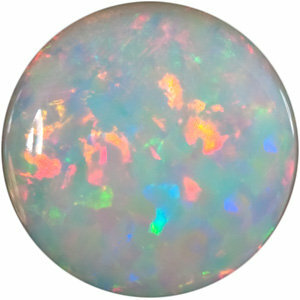 AfricaGems now stocks an amazing selection of really fine quality white opal. 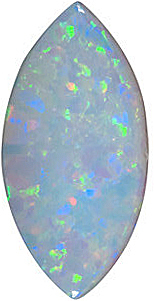 Sometimes called crystal opal, these opals have a white background that is opaque to semi transparent and has a good to very fine play of "fire" that are predominately greens, blues and reds. 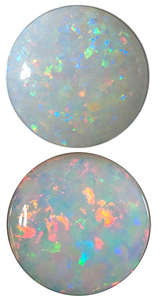 The AAA Grade has the most intense play of color and are very beautiful opals. 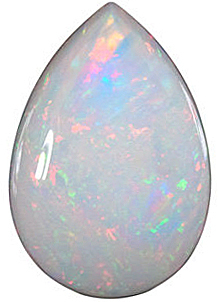 Some White Fire Opals have a tendency to "dry" out and crack after being taken out of water. 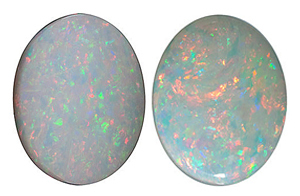 You have no need to worry about this phenomenon called "crazeing" when you use our Opals in creating your own fine Opal jewelry. 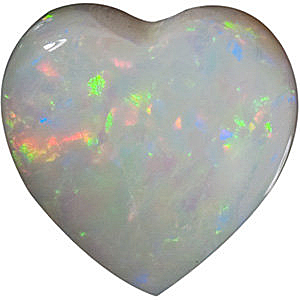 AfricaGems guarantees all of our White Opal Gems against crazeing which is common in many types of Opals mined outside of Australia. Don't take a chance and waste your hard earned money, buy your Opal gemstones from the web's leading loose gemstone supplier.